Still reeling from the loss of her mother, medical student Nancy Adams travels to a secluded beach for some much-needed solace. Despite the danger of surfing alone, Nancy decides to soak up the sun and hit the waves. Suddenly, a great white shark attacks, forcing her to swim to a giant rock for safety. Left injured and stranded 200 yards from shore, the frightened young woman must fight for her life as the deadly predator circles her in its feeding ground. Marlin, a clown fish, is overly cautious with his son, Nemo, who has a foreshortened fin. When Nemo swims too close to the surface to prove himself, he is caught by a diver, and horrified Marlin must set out to find him. A blue reef fish named Dory — who has a really short memory — joins Marlin and complicates the encounters with sharks, jellyfish, and a host of ocean dangers. Meanwhile, Nemo plots his escape from a dentist’s fish tank. Nature’s deadliest killer takes to the skies in the ultimate gill-ty pleasure as a group of friends try to save the Santa Monica coast from shark-infested tornadoes. Underachiever Oscar is a pint-sized fish with grand aspirations. When mob-connected great white shark Frankie is accidentally killed, Oscar concocts a story with Frankie’s peace-loving brother Lenny that it was he who murdered the shark. Suddenly hailed “Sharkslayer” by his aquatic brethren, Oscar has bigger fish to fry when Frankie’s father, mob boss Don Lino, dispatches his henchmen to track down his son’s killer. A freak tsunami traps a group of people in a submerged grocery store. As they try to escape, they are hunted by white sharks that are hungry for meat. On an island research facility, Dr. Susan McAlester is harvesting the brain tissue of DNA-altered sharks as a possible cure for Alzheimer’s disease. When the facility’s backers send an executive to investigate the experiments, a routine procedure goes awry and a shark starts attacking the researchers. Now, with sharks outnumbering their human captors, McAlester and her team must figure out a way to stop them from escaping to the ocean and breeding. A sailing trip becomes a disaster for a group of friends when the boat sinks and a white shark hunts the helpless passengers. 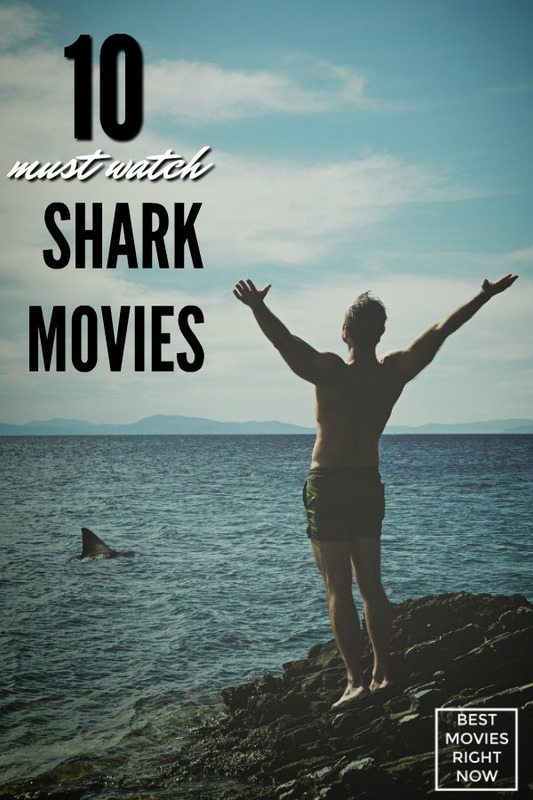 Have you seen any of these shark movies?